To Cite: Saedi N, Taghizade A, Hatami J. The Effect of Mobile Learning Applications on Students' High-level Cognitive Skills, Interdiscip J Virtual Learn Med Sci. 2018 ; 9(4):e69203. doi: 10.5812/ijvlms.69203. Background: Mobile devices, specifically smartphones and tablets, are aimed to change learning and teaching methods innovatively. The purpose of this study was to investigate the effect of mobile learning applications on high-level cognitive skills. Methods: This quasi-experimental study with a pretest-posttest design and a control group was performed among all female students of the 10th grade of math-physics branch of district 10 of Tehran (n = 30) during 2016 - 2017. The participants were selected using the convenience sampling method and randomly assigned into experimental and control groups. The research tools were Heppner-Peterson Problem Solving Inventory (1982) and Cassidy-Long Problem Solving Style Inventory (1996). Learning content (statistical lesson) were presented via a mobile application named “GeoGebra” during eight 1-hour sessions, while the control group participated in a lecture-based classroom. Before starting the course, a pre-test was performed in both groups, and after passing eight 1-hour sessions, a post-test was carried out in both groups. The data were analyzed using analysis of covariance in SPSS version 20. Results: The results showed a significant difference between the groups in terms of problem solving abilities (F = 29.77, P < 0.001) and problem solving style (F = 25.72, P < 0.001), in favor of the experimental group, reflected the positive effect of the intervention on the experimental group. Conclusions: Considering that mobile learning applications have a positive effect on students' high-level cognitive skills, teachers are recommended to use this method in their classrooms. Copyright © 2018, Interdisciplinary Journal of Virtual Learning in Medical Sciences. This is an open-access article distributed under the terms of the Creative Commons Attribution-NonCommercial 4.0 International License (http://creativecommons.org/licenses/by-nc/4.0/) which permits copy and redistribute the material just in noncommercial usages, provided the original work is properly cited. The number of mobile cellular network subscribers was estimated at seven billion in 2016 (1). Mobile technologies have altered our daily lives in ways such as connectivity, communication, and cooperation (2). Mobile devices (specifically smartphones and tablets) are aimed to change learning and teaching methods innovatively (3). However, it is indicated that mobile learning cannot replace formal education, but it offers methods to support learning outside the classroom and brings advantages to different interactional situations (4). With the use of mobile devices in learning and teaching activities, the term “mobile learning” has emerged (5). The definition of mobile learning has varied over time and is affected by emerging technologies. McQuiggan et al. defined mobile learning as instant and optionally accessible, anywhere and anytime learning, which helps us create our knowledge, satisfy our curiosity, collaborate with others, and enrich our experiences (2). Mobile learning technology has opened new doors in public education and learning and has made learning distributable at any time and place (6). According to (7), mobile learning benefits include portability, individuality, simplicity, accessibility at all places, continuality, sustainability, and user-friendliness. Mobile applications are considered to have the mentioned features and are so attractive for teachers and students due to their accessibility. These applications allow learners to create a collaborative community in asynchronous E-learning environments. Mobile applications are useful for learning oral and memorial contents that are difficult for young students to comprehend. Flexibility in smart applications helps students to be their own teachers. For example, they can choose a subject, view the relevant content, and share it in a collaborative community among friends and teachers (8). Several researchers (9) have examined the role of mobile applications in student achievement and attitudes, and concluded it is more understandable for students to work with smartphones because of their easiness and attractiveness and the ability to deliver educational content in multimedia and animation forms, which can be effective in redefining the ideas and enhancing students' creativity. One of the benefits of using smart applications is creating real-world simulated 3D spaces. Using parables and anecdotes is considered as an old teaching method, with the help of smart applications, stories and parables can be presented in 3D form in classrooms, which can be useful for lessons like mathematics and geometry (10). When the learner encounters a situation where his current information is not sufficient to solve a problem, we say that he is faced with a problem-solving situation. In educational context, problem solving refers to learning to solve real-life problems with the knowledge and skills acquired, which may not guarantee the best-fit solution but it is considered to be as one of the high-level cognitive skills. (11). - Mobile learning applications have a positive impact on students' appraisals of their problem-solving abilities. - Mobile learning application have a positive effect on students' problem solving style. This quasi-experimental study with a pretest-posttest design was conducted among all female students of the 10th grade of mathematics-physics branch of district 10 of Tehran, Iran (n = 30), during the academic year 2016 - 2017. The participants were selected using the convenience sampling method and randomly assigned to control and experimental groups (n = 15 participants in each group). A mobile learning-based strategy was used in the experimental group, while the control group were taught in a traditional learning environment. In the experimental group, learning content (statistical lesson) was presented via a mathematics mobile application named “GeoGebra” during eight 1-hour sessions, whereas the control group participated in a lecture-based classroom. The research tools were Heppner-Peterson Problem Solving Inventory (12) and Cassidy-Long Problem Solving Style Inventory (13). Heppner and Peterson Problem Solving Inventory is designed to measure the respondent's understanding of their problem-solving abilities. This inventory contains 35 items (3 filler items) and three sub-scales of problem solving confidence (11 items), approach-avoidance style (16 items), and personal control (5 items). All the items are scored based on a six-point Likert scale, ranging from 1 = Strongly Agree to 6 = Strongly Disagree with the lowest score indicating the highest level of awareness of problem solving abilities. The total score can be calculated as a general index of problem-solving appraisal that ranges from 32 to 192. Internal consistency has been obtained 0.90 for the whole questionnaire, and 0.85, 0.84, and 0.72 for the sub-scales of problem solving confidence, approach-avoidance style, and personal control, respectively. Test-retest reliability ranged between 0.83 and 0.89 in a two-week interval, and the total Cronbach's alpha was 0.76. In a research by Khosravi et al. (14), Cronbach's alpha coefficient was obtained to be 0.86, which confirms the desirable reliability of the scale. Also, principal component analysis indicated that the items of the questionnaire are generally correlated with the three factors showing acceptable construct validity of the scale. In addition, to assessing content validity of the questionnaire, some experts' opinions on the extent of instrument content and research purpose coordination were examined. The questionnaire was given to nine experts to comment on it. Content validity index (CVI) was used to assess content validity quantitatively. CVI was calculated to be 0.79, representing acceptable validity of the questionnaire. To measure problem-solving style, the Cassidy-Long Problem Solving Style Inventory was employed. This scale includes 24 items and six sub-scales of helplessness, problem-solving control, creativity, confidence, avoidance, and approach styles that measure each style by using four questions. The Cronbach's alpha reliability of the mentioned subscales was obtained 0.86, 0.60, 0.66, 0.66, 0.51, and 0.53, respectively, and 0.78 for the whole questionnaire. The questions are scored based on the answers yes = 1, no = 0, and I do not know = 0.5. The results show that the item, which gained the highest score, is used by the respondent as a technique of solving problems when faced with a problem. A total score can be calculated that ranges from 0 to 24. Also, in research (15), its reliability was established by a Cronbach's alpha of 0.77. In a study by Mohammadi and Sahebi (16), the internal reliability of the test using the Cronbach's alpha coefficient was equal to 0.60. In addition, Cronbach's alpha coefficient in the study of (17) was equal to 0.77 and its validity coefficient was reported 0.87. The results of Mohammadi (18) showed a significant correlation between the subscales ranging from 0.51 to 0.72 indicating the convergent validity of the scale. The questionnaire was given to nine experts to comment on it. CVI was used to assess content validity quantitatively. CVI was calculated to be 0.82, representing acceptable validity of the questionnaire. In Figure 1, a screenshot of the software environment is displayed. To analyze the research data, descriptive and inferential statistics were employed. In the descriptive statistics section, the data were described using mean and standard deviation. In the inferential statistics section, analysis of covariance test was employed to modify the pre-test and control its effects on the post-test results. All the statistical analyses were performed in SPSS, version 20. The demographic characteristics of the participants are presented in Table 1. The participants' age ranged from 15 to 18 years. Data on hours of mobile and tablet usage are shown. Table 2 presents the mean scores of problem-solving abilities and problem solving style of the experimental and control groups at the pre-test and post-test stages. Analysis of covariance was used to examine the research hypotheses. In analysis of covariance, it is necessary to observe some assumptions. In this study, we first addressed the following assumptions: The assumption of the normal distribution of data was examined using Kolmogorov-Smirnov test, which showed the statistical values for problem-solving ability and problem solving style were 1.322 and 1.022, respectively, which according to the significance level of 0.05, are less than the critical value of the table for the confidence level of 0.95 (1.96), therefore, data are considered normal. To examine the homogeneity of variances, Levene's test was run and the results showed the significance level was greater than 0.05 (P > 0.05), thus, the assumption of homogeneity of variances was confirmed. For problem solving ability F = 2.11, P > 0.05, and for problem solving style, F = 1.24, P > 0.05 and because the calculated significance levels were greater than 0.05, the homogeneity of regression slope was confirmed. The results of analysis of covariance for hypothesis 1 (mobile learning application has a positive effect on student's problem solving abilities) are presented in Table 3. As shown in Table 3, after modifying the pre-test scores as a covariate variable, group had a significant effect on the post-test scores (F = 29.77, P < 0.001). Therefore, the research hypothesis was confirmed. It can also be pointed out that considering Eta square, 42% of the post-test changes (problem solving abilities) were due to the effect of the intervention in the experimental group. The results of analysis of covariance for hypothesis 2 (mobile learning applications have a positive effect on students' problem-solving style) are presented in Table 4. As shown in Table 4, after modifying the pre-test scores as a covariate variable, group had a significant effect on the post-test scores (F = 25.72 , P < 0.001). Therefore, the research hypothesis was confirmed. It can be stated that considering Eta square, 39% of the post-test changes (problem solving style) were due to the effect of educational intervention in the experimental group. The purpose of this study was to investigate the effect of mobile learning applications on high-level cognitive skills. The results revealed that mobile learning-based strategy had a positive impact on perceived problem solving abilities and style of students. These findings are consistent with previous results such as those of the study by Khosravi et al. , Taradi et al. (14, 16). Baek and Tuati in his research on mathematics and mobile learning, explored the effect of smartphones on mathematic learning of students and concluded that mobile learning applications had an significant impact on mathematics learning (19). Similarly, Seals et al. 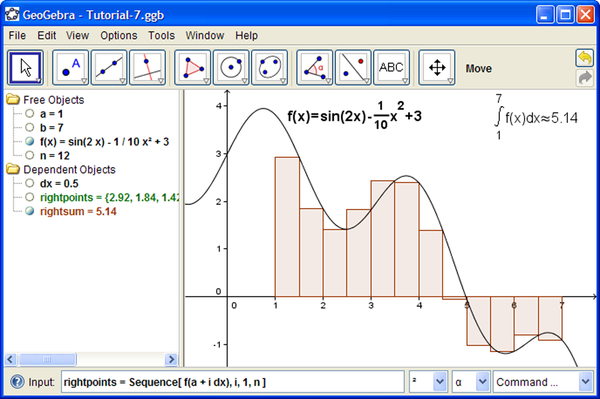 (8) used a number of smart applications simultaneously in mathematics learning, and concluded that the use of these software programs has led to independence in the learning of individuals and practicing of individual learning, and with their help, learning of mathematics concepts and their understanding is facilitated. According to Kukulska-Hulme and Shield, in addition to individual learning, the interaction created by engagement in group activities among students adds to the learning-remembering motivation of students (19). Sayed used mobile learning to teach foreign languages and concluded that mobile learning and smartphones are good tools for teaching and learning foreign languages and they can be used as self-study or supplementary materials in classrooms (10). The variables of attention and perception of learning concepts and learner's attitudes were also considered as learning objectives. Taradi et al. studied English language learning and the development of verbal intelligence among students through mobile learning. In that study, they designed a special software and their statistical analysis showed that using mobile learning technology could boost verbal intelligence and comprehension of learning concepts (20). Read et al. believed that 86% of people are interacting with communication tools such as smartphones, and this can be effective in their hidden learning and most of these applications can zoom in on self-assessment activities. They also proposed that this technology helps people to carry out their activities or exercises automatically (21). Leonardi measured the conceptual frameworks of language applications and believed that teachers can use these frameworks to provide E-learning in a hybrid or non-synthetic manner. Some of these frameworks depend on variables such as time, location, and type of activity (22). Given the previous findings and the importance of educational applications and smartphones in education, utilizing and interacting with this technology model enriches individual learning, enhances individuals' attitudes towards learning and themselves, and increases the use of self-assessment systems in individual development. These applications provide a variety of educational content such as the multimedia or real-life teaching materials such as video and animation, which are suitable for teaching courses such as mathematics, languages, social skills, and sciences. Kukulska-Hulme and Shield held that the key determinant in the success of mobile learning applications is teachers. A teacher who cannot use the technology appropriately cannot be a good transporter (19). The collaborative use of these applications is such that it enables individuals to solve problems in virtual communication and simultaneously with each other. Attendance, engagement, and participation of learners in problem solving causes development of interpersonal skills and mental flexibility and creation of an environment of respect for different tastes and opinions and achieving mutual understanding. According to the mentioned points, these applications can be used to develop learning-remembering of students both inside and outside the classroom and increase students' understanding of problems. Further, mobile education and smartphones can be applied in the field of mental health development because the communication and information technology and its entry into the educational system contributes the learning of such concepts as realism, self-expression skills, and social consistency. Since most people in the age of technology spend their time on virtual social networking or entertainment, it is important to address mental health in relation to this technology, and researchers are suggested to investigate the effects of mobile educational systems on mental health variables. To develop education, many of the concepts that are beyond the scope of educational systems or school hours can be incorporated into games and simulations in smart applications. In conclusion, the following suggestions based on the research findings regarding the advantages of smart applications can be presented. - Paying attention to the collaborative nature of learning and the use of applications in a collaborative community. - Studying the effect of applications on students' learning motivation. - Investigating the impact of smart applications on academic achievement. - Measuring the level of communication skills of students using smart applications. The authors wish to thank the students participating in the experiment. Ethical Considerations: This research was conducted with the consent of the participants. Funding/Support: The cost of this research was the responsibility of the authors. 1. Demir K, Akpinar E. The effect of mobile learning applications on students' academic achievement and attitudes toward mobile learning. Malays Online J Educ Technol. 2018;6(2):48-59. doi: 10.17220/mojet.2018.02.004. 2. McQuiggan S, McQuiggan J, Sabourin J, Kosturko L. Mobile learning: A handbook for developers, educators, and learners. New Jersey: John Wiley & Sons; 2015. 3. Kuzu EB. Use of social networks for educational purposes among pre-service IT teachers. Eskisehir, Turkey: Anadolu University; 2014. [dissertation]. 4. Sharples M, Taylor J, Vavoula G. A theory of learning for the mobile age. In: Bachmair B, editor. Medienbildung in neuen Kulturraumen: Die deutschsprachige und britische Diskussion. Springer-Verlag; 2010. p. 87-99. 5. Crompton H. A historical overview of m-learning: Toward learner-centered education. In: Berge ZL, Muilenburg L, editors. Handbook of mobile learning. Florence: Routledge; 2013. p. 41-52. 6. Berns A, Palomo-Duarte M, Dodero JM, Ruiz-Ladron JM, Calderón Marquez A. Mobile apps to support and assess foreign language learning. Critical CALL Proceedings of the 2015 22nd EUROCALL Conference. Padova, Italy. 2015. p. 51-6. 7. Zayed NM. Special designed activities for learning English language through the application of WhatsApp!. English Lang Teach. 2016;9(2):199-204. doi: 10.5539/elt.v9n2p199. 8. Seals CD, Swanier CS, Nyagwencha JN, Cagle AL, Houser N. Creating new mathematical applications utilizing SMART table. J School Educ Technol. 2011;6(4):1-6. 9. Sozen E, Coskun M. Evaluation of some school applications in Turkish national education according to students’ viewpoints. J Educ Train Stud. 2017;5(3):201. doi: 10.11114/jets.v5i3.2243. 10. Sayed F. Mathematics and mobile learning. International Association for Development of the Information Society (IADIS) 11th International Conference on Mobile Learning. Mar 14-16; Madeira, Portugal. iadis; 2015. 11. Van Merrie Nboer JJG. Perspectives on problem solving and instruction. Computer Educ. 2013;64:153-60. doi: 10.1016/j.compedu.2012.11.025. 12. Heppner PP, Petersen CH. The development and implications of a personal problem-solving inventory. J Counsel Psychol. 1982;29(1):66-75. doi: 10.1037/0022-0167.29.1.66. 13. Cassidy T, Long C. Problem-solving style, stress and psychological illness: Development of a multifactorial measure. Br J Clin Psychol. 1996;35 ( Pt 2):265-77. doi: 10.1111/j.2044-8260.1996.tb01181.x. [PubMed: 8773802]. 14. Khosravi Z, Darvizeh Z, Rafatti M. [The role of mood modes on girl's students' assessment of their own ability to solve the problems]. Iran J Psychiatry Clin Psychol (2nd ed). 1998;4(1):35-46. Persian. 15. Wua WH, Jim Wu YC, Chen CY, Kao HY, Lin CH, Huang SH. Review of trends from mobile learning studies: A meta-analysis. Comput Educ. 2012;59(2):817-27. doi: 10.1016/j.compedu.2012.03.016. 16. Mohammadi F, Sahebi A. [The study of problem solving styles in depressed and ordinary people]. Psychoscience. 2001;1(1):24-42. Persian. 17. Babapour J, Rasoulzadeh Tabatabaei SK, Ejei J, Fathi Ashtiani A. [The study of the relationship between problem solving styles and psychological health of students]. J Psychol. 2003;7(1):3-16. Persian. 18. Mohammadi N. [The relationship between problem solving styles and general health]. J Psychol. 2004;8(4):322-36. Persian. 19. Kukulska-Hulme A, Shield L. An overview of mobile assisted language learning: From content delivery to supported collaboration and interaction. ReCALL. 2008;20(3). doi: 10.1017/s0958344008000335. 20. Taradi SK, Taradi M, Radic K, Pokrajac N. Blending problem-based learning with Web technology positively impacts student learning outcomes in acid-base physiology. Adv Physiol Educ. 2005;29(1):35-9. doi: 10.1152/advan.00026.2004. [PubMed: 15718381]. 21. Read T, Barcena E, Kukulska-Hulme A. Exploring the application of a conceptual framework in a social MALL app. Res pub. 2016:223-32. doi: 10.14705/rpnet.2016.tislid2014.436. 22. Leonardi PM. Social media, knowledge sharing, and innovation: Toward a theory of communication visibility. Inf Syst Res. 2014;25(4):796-816. doi: 10.1287/isre.2014.0536.